Whether face-to-face, by email, or with trained carrier pigeons, how you ask for donations makes or breaks your fundraising campaign (note: carrier pigeons are a guaranteed attention-getter). Your message, and how it makes your potential donor feel is mission-critical. If they feel nothing, they will give nothing. But let’s face it, writing effective fundraising emails is not easy. But it can be done, if you follow a process to develop your own email messages. And if you’re patient. A good story is the foundation of any effective fundraising appeal. Begin your fundraising appeal with a story that pulls at the reader’s heartstrings. Talk about a real person who benefited from your work. Make the donor the hero, not your organization. For example, charity:water talks about a woman who fell down into a well with her baby. And she was stuck in the well for over 2 days! See? Doesn’t that grab your attention? Fundraising works best when it’s one to one, between to people who share a common passion. E-mail is always one-to-one (no one gathers their friends around a computer to read their e-mails). View your fundraising email as a unique opportunity to develop a relationship with someone who wants to receive your emails, and is possibly open to making a donation. Start by imagining a specific supporter that you’ve met a few times. Write your e-mail as if you’re writing a personal appeal this person. Tell them why their support is invaluable. Connect their support to the outcome. Use their first name, And write the e-mail in second person narrative (use the word “you”instead of “we” or “I”). 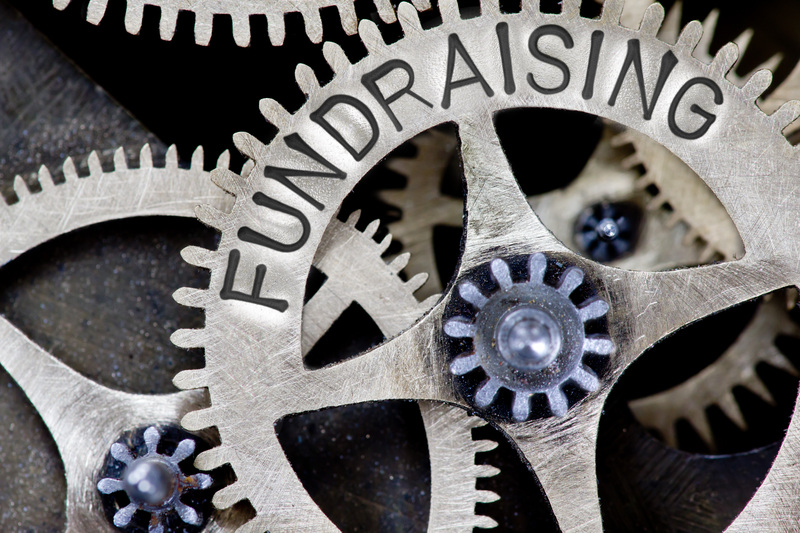 Gain the trust of potential donors by being transparent about your funding gap (the gap between funds that cover admin costs, and what is needed to pay for specific programs). NPR are masters at this with their on-air fundraisers, which I’m sure you’ve heard. Their asks usually go something like this: ”Sponsors and grants cover administrative costs, but we need your support to make sure programs like Science Friday continues to reach people like you”. This approach communicates transparency and responsibility – making donors feel confident about how their dollars will be spent. $50 will not save all the chimpanzees. But it will help, and it is doable. Tell potential donors exactly how the money will be used, and what outcome will result from their $50. This approach helps donors connect the dots between their donation and the outcome they seek. Another great example is from No Kid Hungry, In their “Build a Breakfast” campaign, they tell potential donors: “For just $40, you can connect a classroom of 20 children with a healthy school breakfast for an entire month”. This ask is very specific, immediate, and doable! This gives the donor a sense of realistic, personal impact. Limit paragraphs to 2-3 sentences. Limit the overall email to 2-3 paragraphs. Break up the text with headlines. Enter your email copy into this readability tester. Don’t forget about the call to action! In fact, make sure you ask three times in your fundraising appeal. But don’t just repeat the same phrase over and over. Ask different ways. For example, at the beginning of the e-mail you can say “you can make a difference”, linking to your donation page. In the second and third paragraph you can ask again: “Join others like yourself to make a difference”. Also, try asking once in between two paragraphs, in bold text. A good friend, who’s also fundraising consultant, told me her secret to success: People will often give bigger donations when they feel their personal free will is respected. According to a recent fundraising study, giving people the choice of NOT donating almost doubles the likelihood that they will donate! No one likes to be asked to make a donation if they haven’t heard from you in a while. If that’s the case with your nonprofit, your first e-mail should encourage your potential donor to learn more about the campaign. For example, charitywater often asks supporters to watch a video or read an article, before asking them to raise money. Leading off with a powerful story says that you’re not all about asking for money, which helps builds trust. It also helps you connect with your potential donor on an emotional level – where fundraising happens.